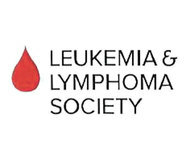 Your donations will benefit the Leukemia and Lymphoma Society. Please join our team and walk with us at Kingsland Point Park in Sleepy Hollow, NY on Saturday, November 3rd at 5:00 PM. 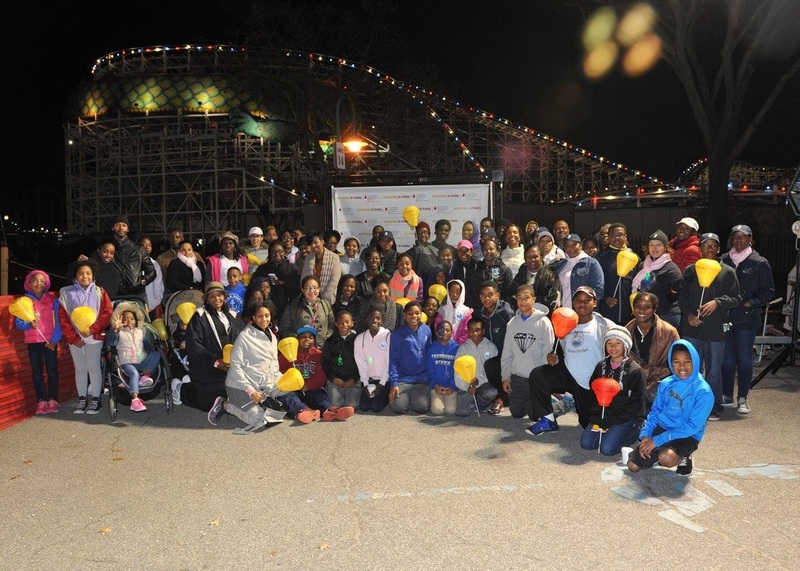 Light the Night is the annual walkathon hosted by the Leukemia & Lymphoma Society. Together we took the necessary steps to help fund research to find a cure for blood cancer. By coming together, we helped shine a light on Monique and on those who are fighting the courageous battle against blood cancer. We need a cure! 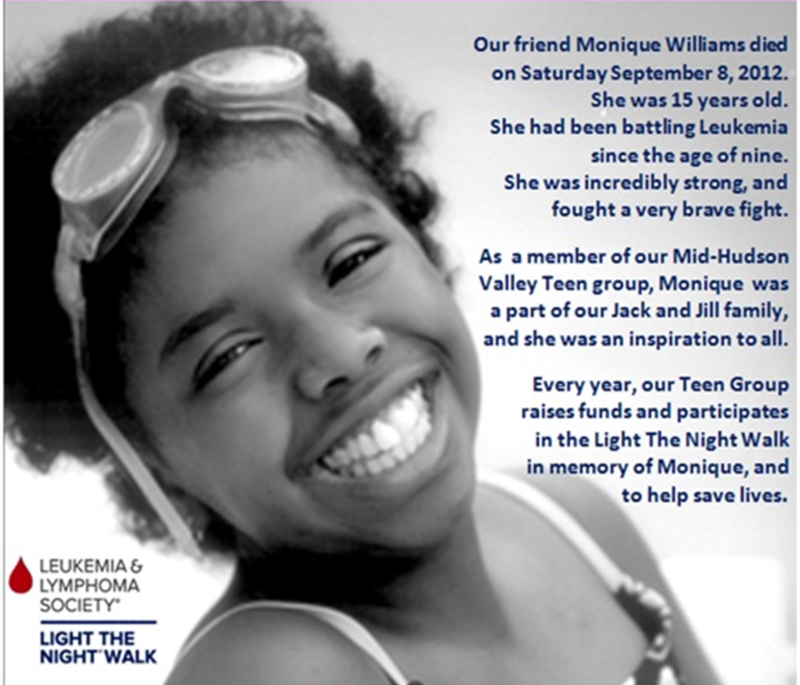 The Teens of the Mid-Hudson Valley Chapter of Jack and Jill of America, Inc. started this fundraiser a few years ago and we plan keep the fire burning for Monique and others like her until a cure is found. We hope you will join us. @ 2017 by shedezigns2 for Mid-Hudson Valley Chapter. All rights reserved.